Crested Butte Mountain Resort representatives presented details of the Teocalli-2 expansion to the Crested Butte Town Council Monday, April 2. CBMR vice president Erica Mueller and CBMR director of planning Matt Feier outlined the proposal that is currently in the public comment phase of the U.S. Forest Service review. That comment period ends May 10. “So far the proposal has been very well received,” said Mueller. “At this point there have been about 50 comments and all but two have been positive,” added Feier. Feier explained that CBMR is asking for an expansion of the ski area boundary of about 500 acres. There would be three new lifts that would provide primarily blue and black run skiing. Company surveys indicate that type of terrain addition would be an added benefit for guests and could help persuade them to stay and ski another day. One of the lifts would ferry skiers from the Paradise Warming House to the top of the current North Face lift. A simple two-story warming hut would be constructed in that location to accommodate ski patrol and provide a warming area for skiers. Feier said the expansion would likely result in both winter and summer seasonal jobs and about three more year-round positions. Included in the proposal is a request to allow snowmaking on about 32 acres of additional terrain, including Shep’s Chute. That would essentially max out the snowmaking capability for the resort under the current permit unless water storage was provided in the future. “We wouldn’t take the river down any more than is allowed but it would provide probably another five days of snowmaking that could take us into early January if we need,” explained Feier. It would not impact minimum flows. Mueller said no new summer activity is being proposed for the Teo-2 area. But as part of the proposal, another 15 miles of mountain bike trails would be constructed. Those would be within the existing trail network but Feier said there would be some trails starting off the Silver Queen lift. He said third-party studies show that the visual impact of the new lifts and expansion would be minimal from Highway 135 and the valley floor. “This area will have a side-country feel to it,” Feier explained. As part of the expansion, the company would conduct extensive glading in the ski pod. That means thinning between 10 percent and 50 percent of the trees in a given area, but the specific details have not been decided. Councilman Paul Merck said he was aware of some concerns about disturbing the elk herd that uses that area at times. “That pocket of elk habitat is a concern for some people and I think it will work itself out when you are done and they will return,” he said. Feier agreed. “It has been studied and the glading that is done might actually benefit the elk for foraging,” he said. 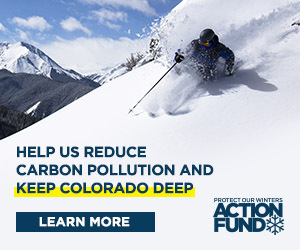 Public comments may be submitted by going to www.crestedbutte-eis.com.